Safety-critical software has hit the "affordability" wall due to increasing complexity and growing reliance on software to perform mission-critical functions. Although software developer productivity on safety-critical systems hasn't really changed over time, with the growing reliance on software, the code size for safety-critical software has skyrocketed. 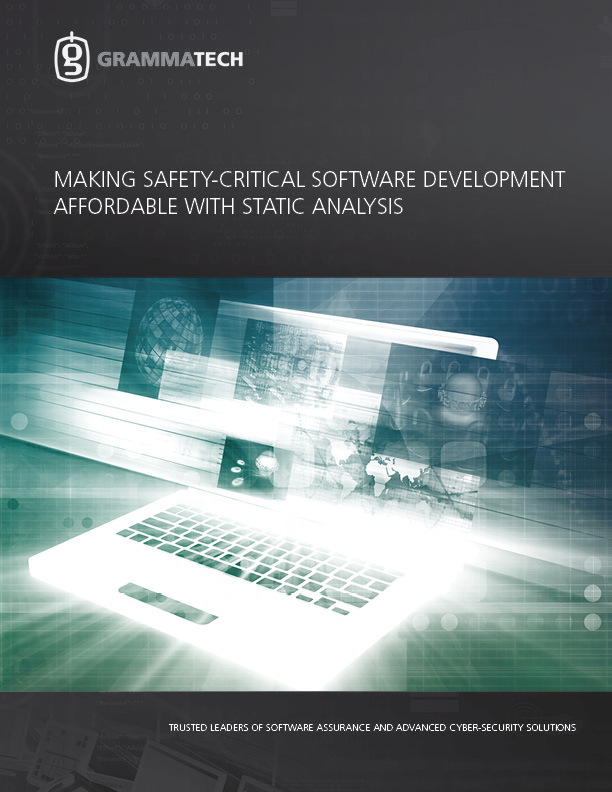 This paper describes how to use static analysis tools to tackle the growing software affordability concern.